Just because you have dentures doesn’t mean you can’t have sparkling white teeth, right? You’ve got a beautiful smile that is giving you back the confidence you may have lost when you were without teeth. These custom-made replacements may replace your natural teeth, but they don’t have to stay hidden from photos and social gatherings. If you’re looking for a brighter smile but are unsure of how to achieve it, follow these 5 best practices for whitening your dentures. With the new year underway, now is the perfect time to set goals for yourself for the upcoming months. As you plan to eat a balanced diet or pay off debt, is a healthy smile at the top of your priority list? There is no better time than now to recommit to your oral health. Besides visiting your dentist in Millburn, there are several changes you can make at home promote the health of your teeth and gums. Congratulations! You’ve decided to replace your missing teeth with dental implants in Millburn. Now, you need to figure how to pay for them. Unfortunately, the vast majority of dental insurance plans do not cover the cost of the implanted posts or the surgical procedure to place them. However, your insurance may provide coverage for a portion of the cost of other facets that are a part of implant tooth replacement, such as the attached prosthetic. 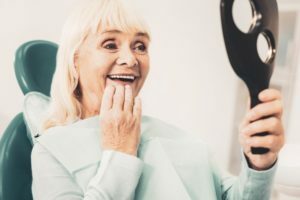 Read on to learn how your dentist might be able to help you offset some of the cost of dental implants and why these restorations are worth every penny you spend. Is Teeth Whitening in Millburn Before the Holidays Worth the Cost? The holidays are a time when everyone wants to look their best. Between office parties, visits with the in-laws, and endless photos being taken, there are a lot of moments when you’ll be on full display! 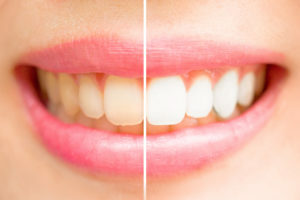 It’s not surprising that so many people get ready by getting a hair cut and buy a new outfit or two, but there’s another easy way to brighten your appearance that you might not have thought about: teeth whitening in Millburn. Keep reading below to learn about your whitening options and find out whether it’s worth the investment! Comments Off on Is Teeth Whitening in Millburn Before the Holidays Worth the Cost? Smiling can ease tension, convey warmth and happiness, and make you appear more attractive to others. However, if you have chipped or stained teeth, you may feel too embarrassed or insecure to smile in public. Many people turn to cosmetic dentistry to achieve the beautiful smile of their dreams – but did you know that cosmetic dentistry can benefit more than just your outward appearance? Keep reading to learn how partnering with a cosmetic dentist in Millburn can improve your smile and your health. 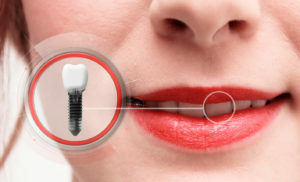 Are Dental Implants in Millburn Right for Me? Do you have a gap in your smile from a missing tooth that keeps you from enjoying life to the fullest? Thankfully, modern cosmetic dentistry can help restore smiles to their dazzling best through a range of treatment options. You may have heard about dental implant treatment, which many consider to be the ideal tooth replacement solution. If you are interested in restoring your smile but are not sure if you would be a good candidate for dental implants in Millburn, you will want to read what our dentist has to say below. 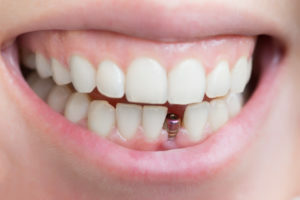 Comments Off on Are Dental Implants in Millburn Right for Me? Normally, the nerve of each tooth is well protected under the layers of enamel and dentin. But if you have a deep cavity or penetrating crack, then bacteria can access the interior, causing infection. When this happens, a root canal in Millburn is often the procedure required to remove the infection, stop the pain of inflammation and preserve the tooth. After root canal treatment, proper care of the tooth is essential. Read on for advice from a dentist. 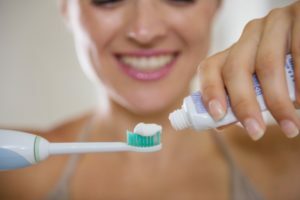 According to the American Dental Association, the most important factors to maintaining good oral health at home are the consistency of your habits and your brushing technique. While some studies have shown electric toothbrushes to remove more plaque at a time and reduce gum disease, it doesn’t mean they’re always inherently better. All they really do is make oral care easier. Regardless, it’s worth exploring your options from a family dentist in Millburn. You just might find a toothbrush that makes brushing more fun than ever before! 5 Ways To Make Dental Care Easier With a Family Dentist In Millburn! When it comes to parenting, you have to pick your battles. Sure, some things can be negotiated…like whether your child wears pink or green pants to school. But other things (like routine dental care) are a must and simply can’t be neglected. And since everyone in the family needs dental care, you may as well help your kids see it as a fun experience. That way, they’ll be more likely to get consistent care and have a healthy smile their entire lives. 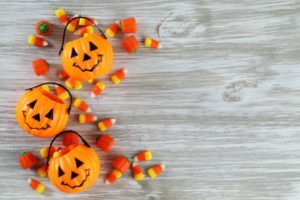 So what are five easy ways to make dental visits more fun and less scary for your kids? Start by making it a family affair! 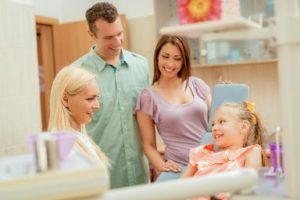 Seeing a family dentist in Millburn is a great way to make dental care easier for the whole family – learn more below! Comments Off on 5 Ways To Make Dental Care Easier With a Family Dentist In Millburn!